During the Active Time Report broadcast for Final Fantasy XV, Director Hajime Tabata and Marketing Manager Akio Otsuka provided more information on the future of the game. Final Fantasy XV Comrades will be receiving a new patch on December 12. Patch 1.1.0 will be dedicated to fixing bugs in this multiplayer expansion, such as the inability to level up in some cases, problems with multiple quests, instances in which enemies don’t appear, issues that make progression impossible and more. New content that will be introduced through the patch will include Time Limited Quests which involves quickly matching players together to defeat waves of enemies within a certain time limit. After this segment, Episode Ignis Director Takeshi Terada provided an update on the upcoming DLC which included a look at the opening scene of the DLC. Episode Ignis was mentioned to have twice as many story cutscenes as Episode Prompto and boasts multiple endings. The multiple endings will be additive to the ending of the main game. An Extra Battle feature has also been added, which features a special battle against Noctis. Development Manager Daisuke Oe’s announced the “First Anniversary Update” for the main game. 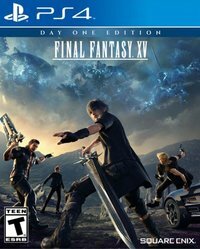 This update will allow players to swap between Gladiolus, Prompto, and Ignis seamlessly. Each character will play like in its DLC, and this update will come bundled in with December patch. You can find a video demonstrating this new feature below. Other details regarding DLC content will be released near the end of the year once they are finalized. The next "Episode" the team is working on will be Episode Ardyn and will delve deeper into the background of the world. The team is also aware of the high volume of requests for similar content featuring Luna. Additionally, Hajime Tabata announced that Final Fantasy XV Pocket Edition for iOS and Android has been delayed from the Fall to the Winter. You can find a recording of the Active Time Report below. Final Fantasy XV: Episode Ignis releases December 13.